I ♥ John Giorno is an unprecedented collaboration between leading nonprofit and alternative spaces across New York, which are joining forces for the first time to mount a multilayered exhibition on a single subject. Partner venues include: Artists Space, High Line Art, Howl! Happening, Hunter College Art Galleries, The Kitchen, New Museum, Red Bull Arts New York, Rubin Museum of Art, Sky Art, Swiss Institute, White Columns, and 80WSE Gallery. 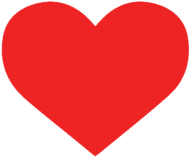 Reconfigured as a festival, including installations in galleries and public spaces, as well as a full roster of public programs and events, I ♥ John Giorno is free and open to the public. John Giorno (born 1936 in New York City, NY) is an artistic innovator who has been defying conventional definitions of poet, performer, political activist, Tibetan Buddhist, and visual artist since he emerged upon the New York art scene during the late 1950s. In the 1960s, he began producing multi-media, multi-sensory events concurrent with Warhol’s Exploding Plastic Inevitable. He worked with Rauschenberg’s Experiments in Art and Technology (E.A.T) in 1966, and with Bob Moog in 1967-68. His breakthroughs in this area include Dial-A-Poem, which was first presented in 1968 at the Architectural Society of New York, and was later included in the MoMA’s Information exhibition in 1970. His contributions are significant to many culturally defining moments: the Beat generation, Pop Art, Punk, the Pictures Generation, and the hip-hop era. His work is included in the collections of the Museum of Modern Art, New York; Centre Georges Pompidou, Paris; Musée National d´Art Moderne, Paris; and Queensland Art Gallery/Gallery of Modern Art, Brisbane; among others. Ugo Rondinone (born 1964 in Brunnen, Switzerland) is a renowned mixed-media artist who lives and works in New York. Recent solo shows include: your age my age and the age of the rainbow, The Garage Museum of Contemporary Art, Moscow; let’s start this day again, Contemporary Arts Center, Cincinnati; every time the sun comes up, Place Vendome, Paris; girono d’oro + notti d’argento, Mercati die Traiano, Rome; becoming soil, Carre d’Art, Nîmes; seven magic mountains, Art Production Fund and Nevada Museum of Art/Desert of Nevada; vocabulary of solitude, Museum Boijmans Van Beuningen, Rotterdam; I ♥ John Giorno, Palais de Tokyo, Paris; golden days and silver nights, Art Gallery of New South Wales, Sydney; and artists and poets, Secession, Vienna. His work is in the collections of the Museum of Modern Art, New York, the Institute of Contemporary Art, Boston, the San Francisco Museum of Modern Art, the Walker Art Center, Minneapolis, and the Dallas Museum of Art, among others. Upcoming shows include the world just makes me laugh at Berkeley Art Museum and Pacific Film Archive, Berkeley; and good evening beautiful blue at Bass Museum of Art, Miami. Artists Space has organized a series of public programs to accompany the multi-venue exhibition that, taking cue from the broad influence of John Giorno’s work, gives focus to the queer overlap of reading and performance. The series features an expansive group of artists and poets, placing those who came of age as peers of Giorno in the influential East Village poetry scene alongside figures who trace numerous other positions within today’s extended landscape of North American poetics. Readings in the series will be recorded, with videos published online, in tribute to Giorno’s inventive approach to the distribution and publication of the written and spoken word. 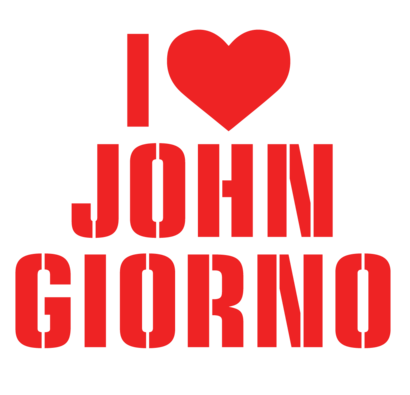 Friday, June 23, 7 p.m.
Saturday, July 1, 3 p.m.
Wednesday, August 16, 7 p.m.
Wednesday, August 30, 7 p.m.
Ugo Rondinone: I ♥ John Giorno is made possible in part by public funds from the Swiss Arts Council Pro Helvetia. The I ♥ John Giorno organizing committee gratefully acknowledges generous support from Van Cleef & Arpels, Fondation Jan Michalski Pour L’Ecriture et La Litterature, the Andy Warhol Foundation for the Visual Arts and LUMA Foundation. Thanks to Almine Rech Gallery, Brussels, London, New York and Paris; Elizabeth Dee Gallery, New York; Esther Schipper, Berlin; Galerie Eva Presenhuber, New York and Zürich; Gladstone Gallery, Brussels and New York; Galerie Kamel Mennour, London and Paris; Kukje Gallery, Seoul; and Sadie Coles, London for production support. Additional thanks to Ophelia and Bill Rudin as well as the General Consulate of Switzerland in New York for their gracious contribution, and to agnès b. for in kind support.